Journey to the world of bananas! 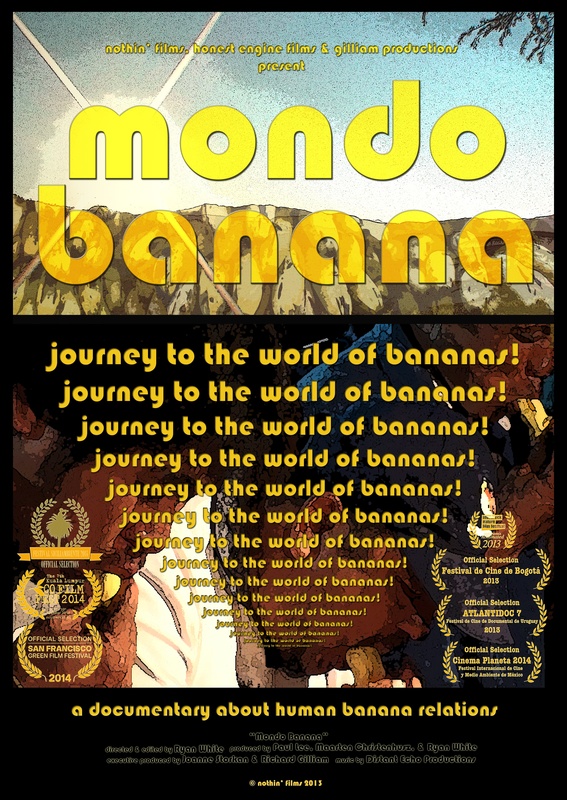 Embarking on an international journey through the vibrant world of human-banana relationships, MONDO BANANA explores the personal, cultural, and environmental importance of one of the world’s favorite fruits. A delicious blend of video art and ethnographic film, MONDO BANANA turns educational filmmaking upside down with a wild medley of shadow puppetry, culinary demonstrations, exorcisms, scientific research, performance art, anthropology, underground film, and dragon-dancing that peels away the secrets of human-banana relations and celebrates the age-old connection between people and plants.